This is basically shot at 1000mm with the $1600 (including DSLR adapter FSA-L1) fieldscope combo. Convinced with the cost-effectiveness of this gadget? I am kinda sold. 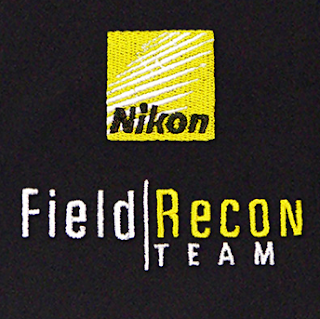 However, apart from birds, what else can we actually shoot the fieldscope combo? 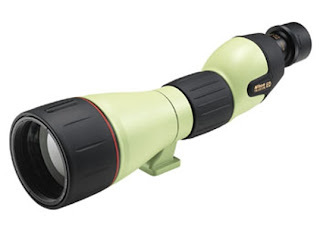 A fine Nikon 500mm telezoom lens will easily cost three to four times of that. Nikon Gear at 50% OFF! For all Nikon enthusiasts wanting your Nikon embossed softshell, rush down to the Nikon Pro apparel online shop at get your gears at 50% OFF! Click [here] to start shopping! You will need one of this to fulfill your childhood dream! Warning - Will put a $300 dent on your bank account for this adapter alone! Want to view and shoot like a hawk? Frankly, the furthest telephoto zoom lenses are but 600mm and they weight/cost a ton! 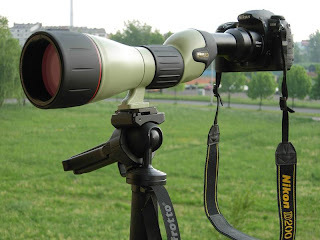 And if shooting wildlife is your primary concern, why not think out of the box and shoot with a Nikon Field scope instead? Its like shooting as a sniper, reinvigorating the boyish days we dream to join the Military Sniper School. How's shooting at 1500mm focal length sound to you? Nikon ED82A is what you need! The Nikon ED III is not a bad choice either. 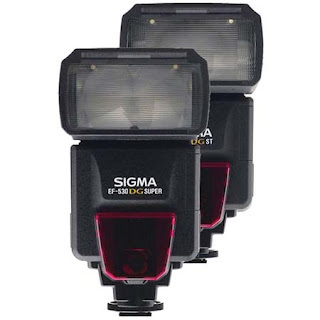 Sigma EF-530 DG Super Flash for Nikon D90? Perhaps, I have not fully appreciated Sigma lenses at this point in time with my Nikon D90 but there's nothing really to stop me from evaluating her top-of-the-line flash - Sigma EF-530DG Super? 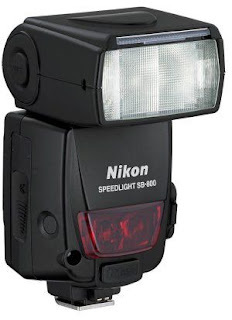 Priced at a Nikon Speedlight SB-600, perhaps, its a value buy? So, here it is, my next agenda to accomplish and share with all. With my recent visit to Sigma local office, I've got the opportunity to review the flagship DSLR of Sigma - Sigma SD14. 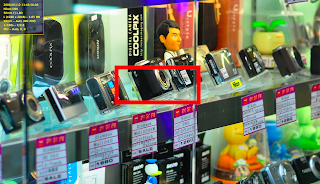 What differentiates this DSLR is the sensor type found in the camera. 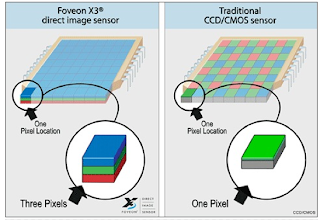 Unlike what every non-Sigma DSLR manufacturers use, Sigma acquired and uses the Foveon X3 image sensor that boasts 100% capability to capture ALL RGB color on each pixel of the sensor. The Sigma SD14 catalog sample shots are astounding but are what I suspect, "touched-up" copy of the original photo with the Sigma Photo Pro 3.0 software. Makes me wonder how those Flickr images on the Internet orginally look like...average I would say. Technically and theoretically, I believe the Foveon X3 is a superior technology, but realistically, Sigma just could not deliver a complete package, having the result marred with higher noise at high ISO. 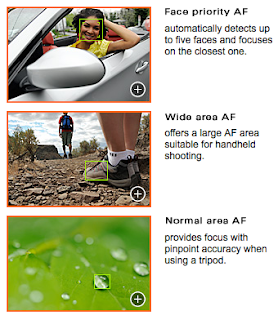 That aside, Foveon's low-light performance are seen superior to the Bayer-filter implementations. Who knows? Maybe, with a proper lab, it can be perfected? Heard of her? I have not too, but what surprises me was the most basic lenses that she uses, and the excellent images she is churning out online. According to Ken, she uses the very basic 70-300mm G lens too and I am quietly assured again that its not really about the camera body or lens but the inspiration within the photographer that makes the real difference. Check her site out [here] and be amazed. For the last five months, I am shooting at an average of approximately 30 images per day. Its coming to a month since I own a basic Nikkor 70-300mm G lens and I am beginning to see when it can and when it is unable to perform. Essentially, in a brightly lit day with plenty of outdoor sunshine, it's an above-average lens to do what it is designed to do, handheld or tripod mode. 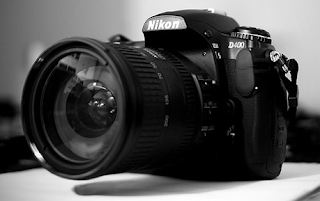 Simply ensure on your Nikon D90 that it shoots with a minimal shutter speed of 1/80 second though. Indoor, you are better off swapping it to your trusted Nikkor 50mm prime lens. However, if that's not an option, attach your Nikon Speedlight to save you from an impending disaster. If you don't even have the most basic SB-400, the built-in pop flash must be used (not an option). However, being a cheap lens at $140, a moderate degree of chromatic aberration can be seen in certain shooting condition (where the sun is strong). 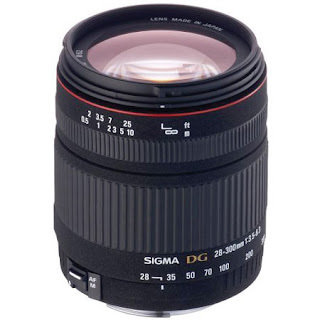 But hey, its $140 and bears similar optical technology as the Nikkor 50mm F/1.8! If you are after 4R prints, it won't break a sweat. Nikon Warranty Covers Sensor Cleaning! 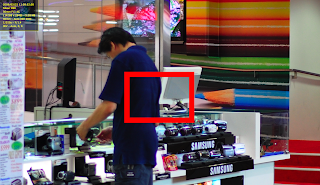 Having got a queue number at the Nikon Service Center, I decided to clarify again in person (I am on leave again) what actually is needed to keep the Nikon D90 at its peak condition. According to the Nikon technician, you are advised never to clean the sensor on your own as it scratches quite easily. 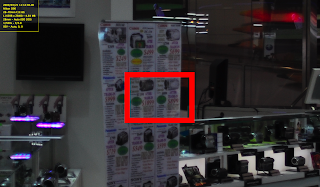 And a replacement of the sensor due to such act of ignorance is not covered under Nikon warranty. The warranty also does not cover wear and tear parts but does cover the hand grip if it ever gets sticky due to years of use. A wet cotton pad to clean the hand grip of my Nikon D90 always turns blackish every month. The standard cleaning procedure went on quite professionally and quickly for my Nikon D90 today - without charge. The viewfinder was also thoroughly cleaned with a huge blower mechanism. So my youngest son decided to take my DK-21 to soothe his teething woes today and there goes my rubber eye cup! It was one of the routine cleaning exercise I did today, whereby removal of the eye cup is mandatory to reach the recess area below it. Cleaning quickly turned to something else and to replace that, I decided to visit the local Nikon service center to get a replacement - DK-21M. 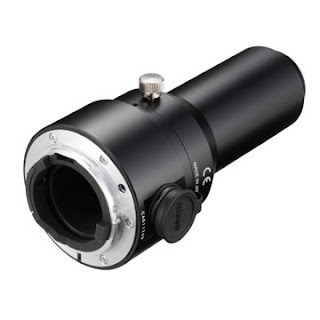 It sure makes a difference as you get a magnified view of the viewfinder. I got mine for $25. 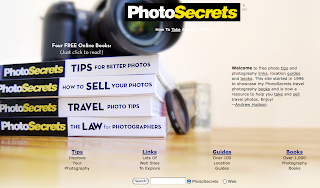 Want even more tips to shoot better? Here goes nothing! I have targeted Malaysia to be my next destination for shoot. In fact, its such a culturally rich country where the diversity of nature, wildlife and culture can bring out some interesting shots! Just nice that I have tons of leave to clear this year, and that the work at hand is slowing down everywhere on the horizon! Oh well, nice excuse to travel around more. 200th Post! That Was Fun! Thanks for following my sometime talkative streaks...but I sure hope it's helpful yet fun! I mean most of us live around a circular series of events and its pretty hard to get out except when you are on annual leave, leave of absence (LOA), in-between jobs or when you retire. 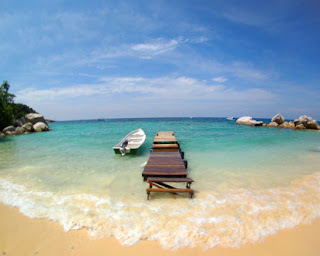 Good pictures I believe can come by when you put yourself in a totally foreign environment coupled with a set mind to consciously take meaningful moments of life. And if you live in Asia Pacific, the pervasive budget airline may just be your ticket to do that. Good glass and good equipment are ideal but as we start as amateurs, composition is more important. Its like cultivating a good instinct and algorithm in our brainworks. What differentiates a good photographer from an average one is the degree of imagination and visualization he or she can manage to compose in their brain while traveling. Try the above tips and see where it will take you! Wonder what it takes to move up the credibility, strength, and tenacity to jump the gap in photography? I recall my approach to reach national level in swimming, all while self-teaching myself to be patience but constantly improving my techniques while watching the better swimmers in many public pools. That's how I reach the top...in a way. But the road is windy and hard. I look forward to applying the same approach in photography and what better place to start by staring and absorbing the essence of the best Nikon photographers offered by the world? Nikkor has a hidden gem and its located [here], in the deep recess of the Internet. I will do it. I can do it. You can do it too. Kaizen. 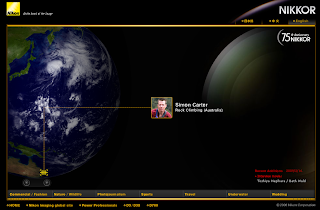 Here, you find the best, the top gun, the guru of optical composition, nothing less. The tip I concote in my mind as I study their work - be very conscious and focused in a shoot. Our casual family outing shoot will have to be put aside. Our routine work trip may not work. We are talking dedicated pursuit of perfection in each composition. Got a Nikon Speedlight? Want to learn to fully exploit it? 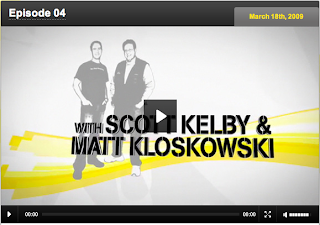 Kelby Training has been dishing out free online lessons in moderate generousity. Yet another candy on my tray today to share! For the Pros, you can call it entertainment...for the amateurs, goodies. Click [here] to grab them. 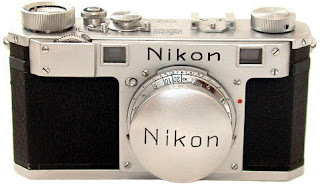 Check out Nikon's story [here] and know the heritage you own. 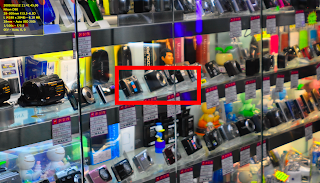 Nikon D300 and Nikon D40 Discontinued? Sources around the big Internet indicates major Nikon sites recently removed product links to the Nikon D300 and Nikon D40 series of products. 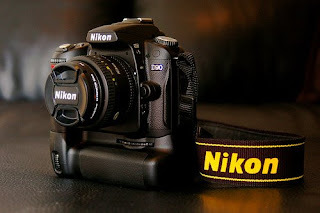 Is this the end of them and the beginning of new product introduction by Nikon to replace the venerable Nikon D300 and Nikon D40? 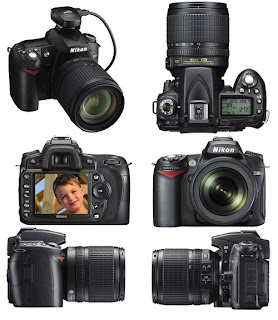 Routine updates available today from Nikon - View NX 1.3 and Nikon Transfer 1.4 [here]. However, be warned...Nikon sites have been up and down erratically for the last few days. Canon 500D - Watch Out Nkon D90! Relentless change that's fast becoming a constant. Canon has been missing the mark for the last 6 months, having introduced a lackluster Canon 50D and Canon 5D Mark II. But I personally think they have slowly awaken from their mistakes and are hot on pursuit of Nikon's superiority and price point for DSLR that does both superior images and HD video. Something to watch is the combination of Canon 50D and Canon 5D Mk II - Canon 500D or Canon T1i. I personally have not seen a decent review yet on the Internet but it sure rock the boat of digital photography with her announcement. The price point? Only $799 for the body! Reviewing the possible reasons why non-Nikon lenses performed so poorly in my recent shoot-out, I came to realize that the Nikon D90 will activate only the Matrix Metering II metering method on Sigma, Tamron etc. ie. lenses that are not made by Nikon! The 3D Matrix Metering II engine is reserved only for Nikkor G/D lenses according to Nikon official specification chart. Hence, possibly, if you shoot in purely spot or partial metering mode only, the result with the use of these cheaper lens may turn out slightly more predictable and perhaps better? As for me, I am sticking with Nikkor-only lenses with my Nikon D90. 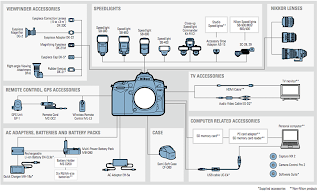 For those of you itching to enhance your Nikon D90 system, check out the system chart and see what you now need to boost your photographic experience with the camera. Moving to photographing people in their moments, I did find in several occasions the usefulness of shooting in live view mode. Though the focusing is slow, it does offer three modes of auto focusing, making it ideal for on-street candid shooting. Check out the image above for a note-worthy shot while in Hong Kong recently. 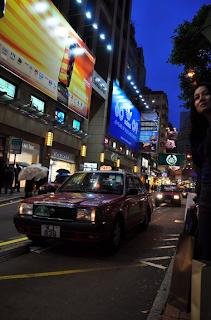 The lady in the picture was not even aware I took the shot as she waits for her taxi at Central. Surprise I am to find out tonight that Nikon actually dedicated a web site just to take the effort to explain to us Nikon D90 users ways and means of exploiting image optimization in accordance to the photographers' intent. 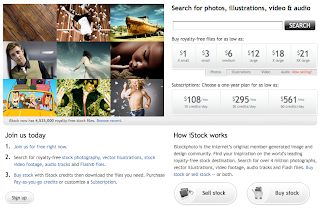 Remember the article I wrote about attempting to make some pocket money online with your stock photo? 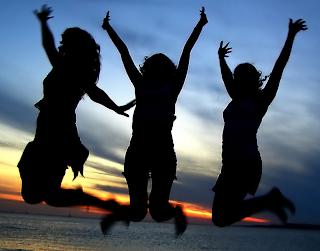 Yes, the requirement is very stringent but I have successfully applied for my stock photo account today! So, to possibly turn the hobby into something financially rewarding too, you should give it a go too! But, here's the catch - it has to be really good to be accepted. Have fun! Remember to donate your way to me if it all works out for you! 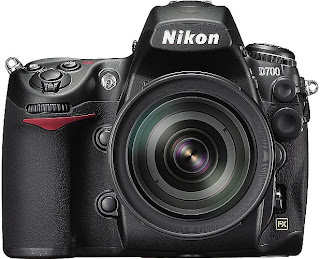 Nikon D700 - Worthy Upgrade Potential to Nikon D90? Along with the recent Sigma lens shootout, I was able to really hands on on the Nikon D700 for over 30 minutes this time round. Overall feel - solid without compromise though the grip is much too shallow even in my small hands. Its one of the three current models of the Nikon DSLR lineup to proudly labeled - MADE IN JAPAN. Wow, the release button is significantly more springy. The four-way direction knob has also a deeper travel depth. The shutter release sound? Wow! Totally assertive. Gone are the more subtle shutter plane sound of the Nikon D90. For us familiar with the Nikon D90, you can say it's still manageable in navigating the majority of the knobs. Price? Hmm...excellently priced at $2300. It's like buying a replacement Macbook Pro of mine! Still pricey considering that you don't use it for any commercial gains. Maybe when the economy picks up again in 2-3 years time...a Nikon D900? 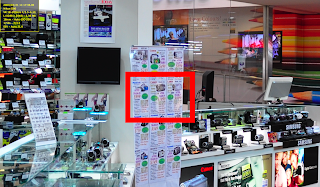 Sigma Lens Test Results on Nikon D90 - AVOID SIGMA! OK. The test results are out. You be the judge. In all, I have tested three unique Sigma lens this morning and the results should speak for itself. Each shot is taken with identical AF mode, exposure etc. with a small variance due to the different aperture sizes of each lens. For reviewers, all images are cropped to 100%. Is this conclusive enough? Maybe, a third review may miraculously differ? I don't think so. I may be slightly biased when I made a blanket statement about Sigma lenses after a short test review recently and thought maybe, a rematch is due. So, today, I will do just that and share with all when I have completed review of at least another 3 to 4 different Sigma lenses run-down. Perhaps, I will do more, and touch on Tamron etc. for the fun of it all. In the realm of technology, the newer are always the higher tech and the better. As Ken reviewed and shared, noise handling, sharpness and overall value, the Nikon D90 blew the Nikon D200 and Nikon D300 out of the water! So, just in case, you want to prematurely move onto the Nikon D300 (like me a while back), hold your horses and think again. 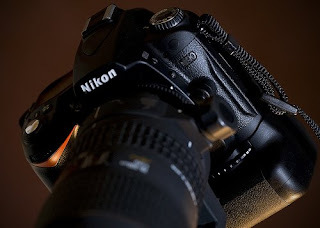 Maybe, the Nikon D400 will save the day? 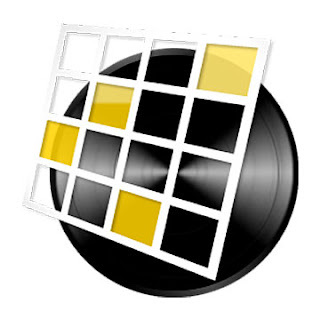 Check out the few review [here]. Yes! Its a satisfying meal for me. As the Internet prevails, I came across article and even the built-in camera help indicating that the Adobe RGB has a wider gamut, hinting its bigger advantage over the conventional sRGB palette. But whenever I use it, I tend to get duller images which tend to contradict my assumption. In short, the theoretical gain in using Adobe RGB can only be derived with the appropriate software like Aperture 2.x. and more post processing. Otherwise, you are better off sticking with sRGB to shoot most images. Its not worth the trouble for amateur like me. 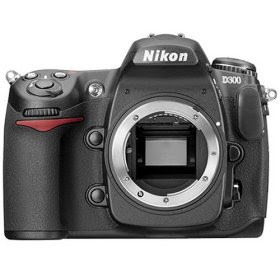 It's been coming to 6 months since the launch of the Nikon D90. On my routine check to date [here], I see no new firmware for the Nikon D90. Check back regularly for any new updates. Talk about timing, talk about shooting your own foot! Frankly, I don't see a worse time to raise your price as an effort to get the gloomy, retrenched-filled economy to cough out more dough to buy. As some believe, its the mysterious rise of the yen though Japan is at her worst economic state (Just like in United States) in many decades. Anyway, fortunately, I managed to catch the last train while in Hong Kong before the price hike. I now see a minimal 10% increase in Nikon lens and accessories including the legendary Nikon Speedlight flashes. Yup. I have only recently felt the urge to see how the Nikon D90's Flash Sync actually perform in conjunction with my Nikon SB-400 Speedlight. Obviously, my kids are often the test subject. As it turned out, the fastest speed I can engage my Nikon D90 is 1/200 second, implying intended subjects should not be too fast to be captured in those low-light conditions. Again, my Nikkor 50mm F/1.8 made my day in the above shot. Hmm...just when I am all set, here comes a new rumor that the next high-end DX-format Nikon DSLR D400 will be introduced come 25th March! As I previously reported, the body price of the Nikon D300 has dropped significantly and this could be a lead news into launching the [D400] in March 2009. If it can do what floating rumors says it can do, the Full-HD video recording capability will effectively make 16GB memory cards insufficiently small and inadequate. 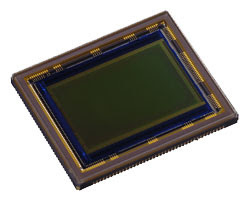 Besides, as we saw what Canon did to the Canon 50D, its attempt to pack more pixels into yet small physical size sensors can only spell trouble due to the susceptibility of higher noise in the circuitry. In summary, I am definitely staying away from the Canon 50D. Of course, the rumored Canon 500D can also change all that. Somehow, I was given the impression that the recent purchase of Nikkor 70-300mm G lens diameter is 67mm but was surprised its a 62mm lately. Hence, the need to get a protective filter for it became mandatory. Venturing back to my favorite local camera store, I ended up purchasing the Nikon 62mm NC filter at $30! I can only say its the most expensive filter I have acquired so far and would definitely want to know what exactly I am getting apart from the "MADE IN JAPAN" label. Circular Polarizing -used to block or reduce polarized light reflected from glass, water and reflective nonmetallic surfaces such as plastics and ceramics. They can also be used to block relected or dispersed light when shooting out of doors, intensifying colors and making the sky appear bluer. 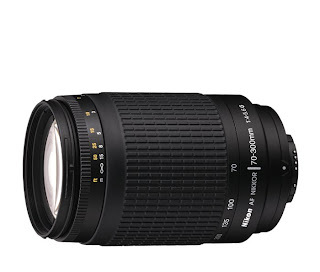 What is the Nikkor 70-300mm G Lens Good For? If you attempt to shoot a family portrait with it, I think its a bad idea. But if you want individual portraits or small group shoot, I believe its manageable with this lens. At 70mm, most corners and composition turn out sharp and undistorted as I realized. 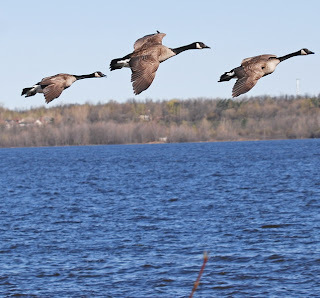 Check out more results of the Nikkor 70-300mm G lens [here]. 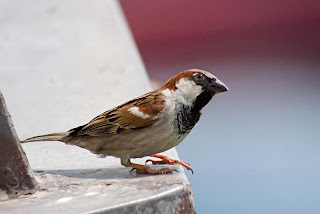 It gives me the urge to want to pick up a new hobby - bird watching and shooting. Who says you can only get reasonably sharp image with a thousand-dollar pound of glass? I personally think Hong Kong is one of the few countries in the world that has embrace and rolled out one of the most pervasive wireless payment method in the world, where you practically get to pay parking charges (see above image I took with my Nikon D90), supermarkets, taxi, 7-elevens etc. all with the Octopus RFID card system. While some other countries are struggling to stem down mishandling of revenue from parking charges for example, HK seems to have done such a great work in integrating many core infrastructure services with the ease of payment from these wonder. Well, its not a ground-breaking technology but the execution for mass adoption is well commended for the city. I remembered running short of cash one day with my kid in the subway, clamering for a drink out of a sudden. The availability of paying a cake shop via Octopus saved my sanity within a few minutes! Wow! Cool! I have the pleasure to talk to various contacts while in HK on my last trip there and, essentially, all financial models are out of the windows and no longer applicable! Some says its as much as 15 delta deviations, and seriously many shops I frequent is no longer in business. Many feared the availability of their job positions in the next few months, and there are now visibly more people walking the streets even during working hours. The well-thought investment model is no longer viable as the financial model is now being sent back to the stone age. Being a vicious cycle, the tightening in expenditure and purchase of the remaining cash-rich folks only seek to worsen the whole outlook. Everyone is looking for a job opening everywhere while the elderly "yum char" and shook their heads in loud chatter during their routine morning breakfasts. The above shot is taken casually on a train ride to the Sigma lenses shop in Wanchai. As the sayings go, picture tells a thousand words. I believe the Manfrotto XB190 tripod was the key. I think this is it. The trilogy of casual photographers who needs a complete range at a shoe string budget. The Nikkor 70-300mm F/4-5.6G lens. Trilogy = D90 kit lens + 50mm + 70-300mm. Its a browsing-turn-buying affair. An unplanned but satisfying purchase. I have been reading about it and I think its developed for people with a family. Priced at $150, its something you cannot really go wrong with. Lens built-quality is like my Nikkor 50mm F/1.8 but with a plastic mount of our Nikon D90 kit lens. I was initially quite skeptical but boy am I surprise with the image quality! Ken Rockwell is right. It rivals the thousand-dollar high-end lens of Nikon family at a fraction of the price. And in this uncertain times, applying frugality is wisdom. Forget about VR at 300mm handheld. Its not going to help. You need a tripod and a good one will truly get the sharpest image at that focal length. Technically, as per my previous article, I advice people to turn off their VR while shooting from their tripod, as it increases the sharpness of the image. Comparatively, the VR cousin of the Nikkor 70-300mm G has the same aperture size as this lens, implying that they both have rather small aperture size, implying lackluster handheld shooting results. Bottomline, if you want to use it, use it with a tripod. 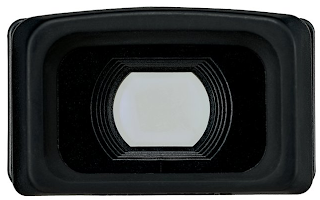 3-stops improved performance offered by VR technology will not help you shoot without one. Period. I got this baby just a few days ago while in Hong Kong. Right, Manila, the city of slums, overhead power cables and half-formed chicklet Eggs at 14 Peso. In fact, I found it tasty but somewhat gross as I see my colleague gobbling down one egg after another. Check out my D90 gallery for candid shots of singlet-clad hawkers and deep-fried squid sticks at 3 Peso each. The number of Koreans are surprisingly many, with many claiming their residences in the cheap country. But hey, it was the Spanish and Americans and some Japanese who threaded on Philippines soil historically. But what's with these Koreans? I have no idea. Some say its a cheap place for their kids to learn English but maybe not. The economy is mango and bananas but majority of the funds come from the many overseas working Filipino. Increasing number of MNCs (Multinational Corporations) have moved out of the country, leaving its residents to only contemplate the glorious days of the Philippines achieved during the 80s. Well, really, it was a fine country until one goon government decided to sell away the country core steel industries for personal gains. That's where its a slope towards despair and downfall. Shots from the Nikon D90 was good all the way, as you can see in my gallery. Believe it or not, I shoot entirely on the Nikkor 50mm throughout my stay in Philippines. Sigma Lens Shootout with Nikon D90! Sure, its bound to come, right? Cheap price tag, MADE IN JAPAN myth, all-in-one functionality all rolled into one impulse to check out Sigma lenses. And that's what I did while in Hong Kong. It turned out as I walked around Hong Kong for the last ten days, I can't help but noticed that all DSLR users I found in scenic spots all uses non Nikon and Canon lenses!!! Talk about cheap, talk about misinformation, talk about optical adultery. Yes, they are all using the Nikon or non-Canon bodies, with couple of Sony Aphas but that was it! 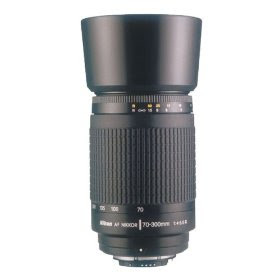 Sigma tends to top my observation list, followed by Tokina or Tamron. Interestingly, that prompted me to pop by the Sigma resellers in Wanchai immediately. So, with my broken Cantonese, I called out the Sigma 28-300mm F/3.5-6.3 for a trial shoot with a rather polite sales person. Around me, I saw no one else. Business was bad, with the boss standing restlessly on the shop doorway, nervously hoping I would be his first customer that morning. It was hopeless. It was sheer rubbish. I mean the quality (see attached image above). To avoid confusion, a single focal point was used with that shot! Multiple shoots were taken. But still, nothing was sharp. Mind you, this was at 28mm! Unbelievingly, I switched back to my trusty Nikkor 50mm and took another shot (See below) on the same spot. 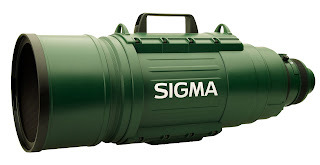 So much for Sigma...they are cheap but they are also cheap in results. Stay away from them if you can or simply get the entry-level Nikkor lenses. They are still better. Just having downloaded over a thousand shots and scrutinizing each one, I came to realize one mistake I always overlooked while shooting. I assumed I can shoot while I slowed down to a slight pause and not come to a stationary stand still. I was wrong. You and I know the best photographers ALWAYS shoot with a tripod and here I am, thinking I can get crisp images while walking and shooting like those Japanese tourists! So, it's definitely not the Nikon D90 but me, the naive photographer.Check the shot I took of these Spanish musicians in Ocean Park. Serves me right... so, if its a really important shoot, please come to complete stand still to compose before firing the trigger. You will be pleasantly surprised at the end of the day.